The George Morton Levy Series goes its final round this Saturday, April 20. This could present the most aggressive groups yet as the series’ characters engage in battles for berths in the final. This fifth week could offer some great prices in the only-the-strong-survive divisions. There should be no holds barred in these battles and we aim to take a chance on the best prices no matter the size of the field (a few seasons back we nailed Tarver Hanover at 25-1 in a six-horse “Levy” division and have had other well-paying desperados since then). The pacing mares also go their last rounds of the Blue Chip Matchmaker Series, featured on Friday. We will take the same approach with the mares as we do with the men, looking for the upsets that may mean nothing in the final. The surplus of harness information that you cannot get on any other ADW includes TwinSpires’ exclusive harness horses to watch (H2W) list. This season alone we have handed readers lists of winning horses that have peaked at $100 for a simple $2 bet. These are offered from tracks across the continent. This week we add horses from Pocono Downs and Vernon Downs. 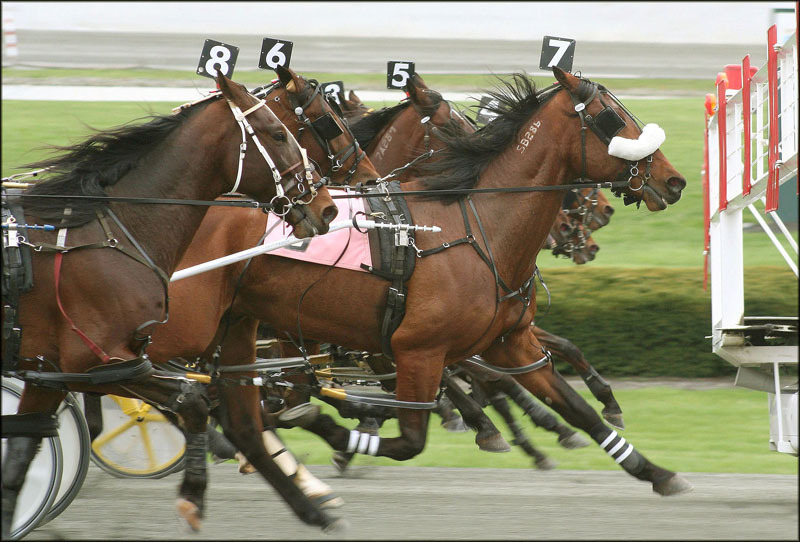 Saturday’s last preliminary rounds of the Levy holds four divisions at Yonkers. With Annieswesterncard on the rail, coupled with a Ron Burke stable mate, you must go for the George Brennan-driven Shoobee’s Place to upset. The Burke duo will eat up so much money that getting Nifty Norman’s pacer with Brennan aboard could offer quite a bargain among six betting properties. Something For Doc was beaten last week and can be beaten again, though not by the same horse (Razzle Dazzle is in division three). Jimmy Takter’s Great Vintage could do the trick unless he is the spoiler with challenging speed, in which case the outsider to back is Nob Hill High. “Rocknroll” trainer Bruce Sanders could have gone elsewhere with this guy but keeps him in the pacing for the final. It has longshot written all over it if you buy into the speed-duel scenario (maybe even without it). Race 7 is the third chapter of the Levy divisions and the wagers should be spread out, making it difficult to predict a solid public choice. Even the drivers have doubled up on possible mounts at the draw, giving them some latitude to choose in this $50G contest. Lightly raced EZ Noah is unproven with only four starts and every bit as ready as Atochia, a series’ champ, so let’s give “EZ” a shot for a big mile here. In the last episode the crowd will favor Foiled Again and give Silent Swing a slight chance to upset. But the third contender gets our vote. Casimir Jitterbug can come back and pay a big price, as he did when we gave him out two legs back. Coming from the outside will not please the bettors but that should give us odds higher than his chances. On Friday, only three divisions of the Blue Chip Matchmaker series go at Yonkers. Team Burke has three in the first division, so all you can do is hope that Eighthundrdolarbill gives driver Brian Sears a rare longshot win. In the middle division, Handsoffmycookie may be ready to truly start this season, taking this group gate to wire from the rail, which would not be a surprise since she is bound to start racing with more verve sooner or later. Then the last division offers another shot at a horse that may be getting started after a light schedule this year so far. Keepers Destiny is in a great spot to pick up a trip that could get her stakes season in gear and deliver a good price.